Tesla’s chief has pledged to make a pick-up truck as part of future plans for the electric vehicle-maker. 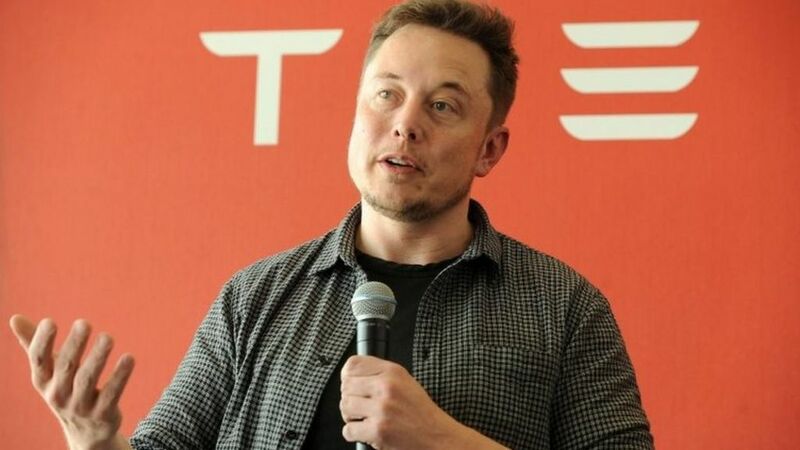 He said the open-backed truck would follow the Model Y – a yet-to-be detailed car, which is expected to be based on its Model 3 sedan. That has led some to question whether the loss-making company can meet its existing commitments – which also include a forthcoming articulated lorry and sports car. Pick-up trucks are particularly popular in the US, with sales by the three leading manufacturers currently totalling about $ 90bn (£67bn) a year, according to data from Morningstar Equity Research. Demand for the trucks has also risen over the past 12 months, despite a drop for other types of “light vehicle”. In his tweets, Mr Musk said the vehicle would likely be “slightly bigger” than Ford’s bestselling F-150 pick-up to allow it to contain an unspecified “game-changing” feature. “[I] have had the core design/engineering elements in my mind for almost five years,” he added. Mr Musk’s ambitions contrast with Tesla’s recent performance. In November, the firm declared its biggest quarterly loss to date – $ 619m – and admitted that it was months behind schedule with Model 3 deliveries. “There are a growing number of people who are looking to Tesla to fulfil on its existing promises rather than make more ones,” Paul Newton, an analyst at the IHS Automotive consultancy, told the BBC. “It has a large number of back orders for the Model 3, and only a handful of painstakingly hand-built cars have been delivered.